Eric Zuley ( CEO/Founder EZ WAY TV & WTV Networks) and Larry Witherspoon (Co-founder-Roscoe Media Center) announced their joint partnership at the official launch party for this broadcasting powerhouse on Sunday, September 29th at the Roscoe Media Center in Los Angeles. The night began with a star studded 30 foot red carpet ran by celebrity publicist, Tonya Carmouche. Guests were photographed and interviewed by L.A.’s hottest media outlets such as Wire Image, WENN, AP, L.A. Live Show(Comcast), Actors Reporter, The 5 Magazine and TMZ. Although excited to have pictures taken and share how proud and excited they are for this spectacular partnership, guests were anxious to go inside the Brownstone Bistro where some mingled with other successful industry individuals and others were escorted to a table where they dined on delicious food prepared by the bistro. The atmosphere was filled with the beautiful scent of vanilla candles supplied by 3-8-1 Candles and uplifting background music performed live by the “ Saint Tone” Band. As the anticipation for the man of the hour, Eric “EZ” Zuley grew with excitement, guests were also treated with additional live performances provided by teen sensation girl singing group Gifted Nations, Ashlee Williss (star of The Bachelor) , Ryan Fitzgerald, and an impromptu act by Eric, Natasha Lloyd, and TKO. Arriving with his beautiful EZ WAY Angels, Eric, the CEO/Founder of EZ WAY TV, stepped out of his chauffer driven limo( provided by Wings Limousine Service) wearing his signature black fedora and celebrity signature line “Future Stars” by Supermodel/Actor/Host/Artist Sam Sarpong he stepped into a sea of flashing lights and microphones held by eager reporters seeking to get an exclusive interview about is monumental event. The guest which included Larry Witherspoon, Najee Detiege, EZ WAY TV Hosts-Moe Ager and Shane Sparks, Reatha Grey, Millena Gay, Melvin Jackson Jr., Ochoa Boyz, Alazae, Jimmy Deshler, Saint Tone Band, Gifted Nations, Jarvee Hutchinson, Telma Hopkins, Janie Boisclair, Param and Jasleen Singh, Slade Smith aka DJ Young, Shaka Smith, Brian Hooks, Melted Vinyl, The Dahlz, Sam Sarpong, Kate Linder, Chillie Mo, Taylor Swift support band Trailer park Rebels, and a host of others were all beaming with pride for this amazing venture. The room was full of stunning women; over 35 ICandy models, Pitbull Energy Drink models, EZ Way Angels models, and the L.A. Live models all there to support the launch. Reatha Grey from Betty White’s “Off Their Rockers” and Janie Boisclair” singer with the Saint Tone Band and Humanitarian Radio Host also served as EZ Way’s “Elder Angels” both wearing their EZ Way model bling tops. Although meant to be funny, they actually made a point stating beauty has no age barriers. 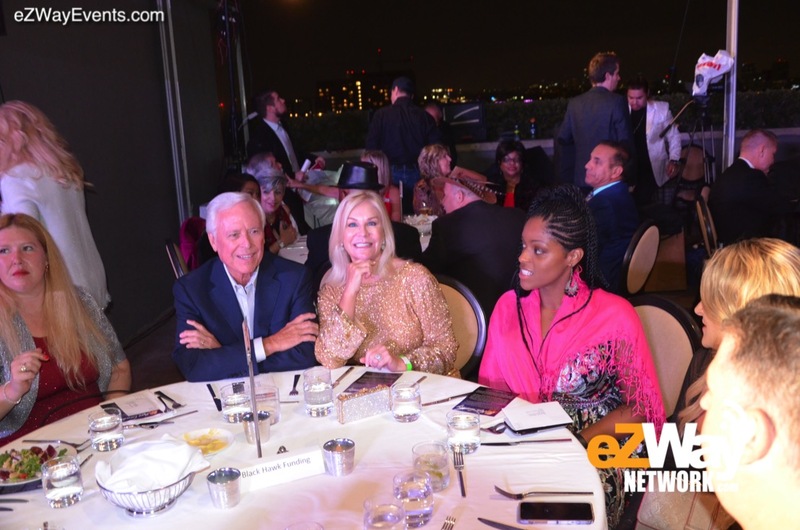 Known for being the “Hollywood It Guy”, Eric displayed his versatile humanitarian characteristics when he removed himself from the spotlight and shared unselfishly with Shellie Hunt, this year’s EZ WAY Achievement award recipient. 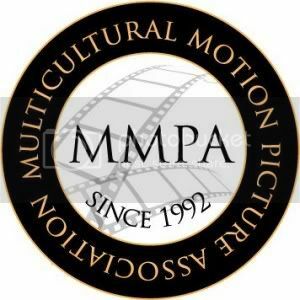 The award was created by Jarvee Hutcherson president of the Multicultural Motion Picture Association & founder of the American Society of Young Musicians. 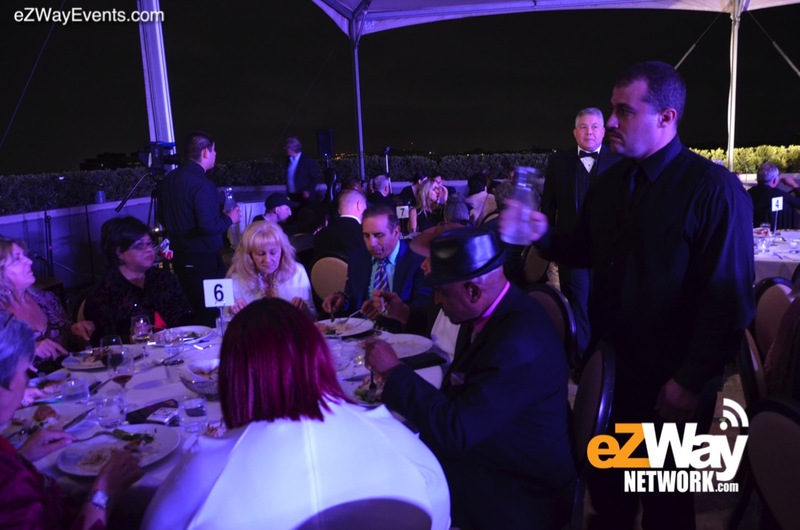 The first award last year was given to Larry Namer (co-founder of E Entertainment TV) on behalf of Eric Zuley, it was presented by new partner of EZ WAY Larry Witherspoon owner of Roscoes TV. The EZ Way award has been endorsed by both the city and county of Los Angeles. Each year Eric acknowledges individuals that have made a worldwide difference in their communities with this honorable award. Guest received gift bags that included Havana watches, Fantasia hookas provided by Vapeflow, Skin care and bikini’s designed by Bella Boo, Artistic Journey fortune cookies filled with EZ Way fortunes, $150 gift certificates for a mani/pedi provided by Gloria “The Footnanny”- Oprah Winfrey’s personal nail technician, EZ Way magazine, KD Luxe jewelry, Derrich J signature jewelry and several other desirable goodies. Each guest also received a bottle of Alaska Crystal Glacier Water that lit up with gorgeous blue lights. The ambience was absolutely spectacular. Desserts were provided by Sugar N Spyked catering. Anyone who wished to indulge enjoyed cupcakes with EZ microphones on each, absolutely adorable. Staying true to being a host EZ kept the room laughing with his witty comments and high energy. 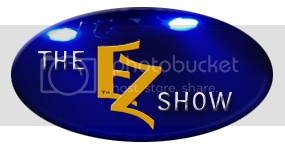 Guest on the show were Millena Gay, Reatha Grey, Shellie Hunt, Charles Watkins, Brian Hooks, Jennifer Irene, Natasha Lloyd, TKO and the VP of EZ Way Promotions, Mike Precise. The show included an open MIC free style contest where Mike Precise wowed the crowd with his effortless, rhythmic flow. Also showing melodic skills EZ Way Angel-Natasha Lloyd, Maxim 100 model-Jennifer Irene and, artist TKO took to the microphone and had the room partying. Not to be outdone, EZ ended the show displaying his talent to freestyle like a veteran rapper along to “Burning Sun” a Saint Tone original. The night was nothing short of phenomenal!! This is an endeavor that will definitely change the media world as we know it!